Primary angle-closure glaucoma (PACG) is associated with increased intraocular pressure, optic nerve damage, and progressive vision loss, but the molecular mechanism that underpins retinal ganglion neuropathy in PACG remains poorly understood. To better understand the pathogenesis of human PACG, we performed the first comprehensive proteomic analysis of aqueous humor (AH) samples from PACG patients and matched control donors to study pathogenic alteration in AH composition in disease. 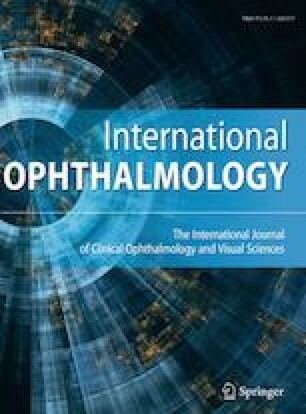 High-resolution, label-free, liquid chromatography–tandem mass spectrometry-based quantitative proteomic analyses were performed in AH samples collected from PACG patients and a matched control cohort of patients with cataracts. The AH proteome comprised of 1363 distinct proteins, of which more than 50% were differentially expressed in PACG (773 total; 501 up-regulated, 272 down-regulated). AH from PACG patients was enriched in atypical collagens and fibronectins, suggesting that the composition of the trabecular matrix is significantly altered in disease. Pathway and cluster analyses revealed that AH protein modulation in PACG is closely associated with biological processes including platelet degranulation, cellular import/export mechanisms, and control of protease activity. In addition, critical mediators of oxygen homeostasis and neuronal function in AH were significantly dysregulated in disease, strongly implicating oxidative stress responses in PACG-associated nerve damage. Altered AH proteome in human PACG indicated oxidative stress in the neuronal damage that preceded vision loss. Identifying key mediators of PACG pathology will yield new prognostic biomarkers and novel targets for future therapeutic interventions. Sunil S. Adav and Jin Wei have contributed equally to this work. The online version of this article ( https://doi.org/10.1007/s10792-018-0885-3) contains supplementary material, which is available to authorized users. This work is in part supported by grants from the Singapore Ministry of Education (MOE2014-T2-2-043 and MOE2016-T2-2-018), the National Medical Research Council of Singapore (NMRC-OF-IRG-0003-2016), and National Healthcare Group Small Innovative Grant (Grant # 13018). This study was in agreement with the Declaration of Helsinki and approved by the Institutional Review Board at the Tan Tock Seng Hospital (TTSH). Informed consent was obtained from each patient.